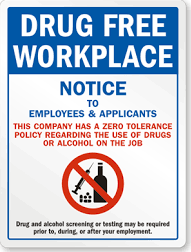 Your Company Should Have a Drug Free Workplace Policy! To protect your business and employees, consider the following 10 reasons to establish a drug-free workplace policy. To create a drug-free policy at work, a business has many options. 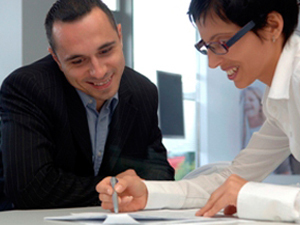 All policies should be in writing and effectively communicated to all employees. One in six workplace deaths, and one in four workplace injuries, involves drugs or alcohol use. By implementing and communicating clear rules and consequences of using drugs or alcohol during work, drug use as well as the number of work related accidents and injuries should significantly decrease. By implementing a drug-free workplace program, you show a commitment to having a safe, healthy work environment. To encourage businesses to implement drug-free workplace programs, some states, such as Florida, Georgia, Texas, Virginia, and Washington, have passed laws that enable businesses to receive workers compensation insurance premium credits of as much as 10 percent if they employ a drug-free workplace program. How much can I save on my workers compensation premiums by adding a drug free workplace policy? A drug-free workplace program should contain an educational component that informs employees on the health and safety risks drug use imposes on all employees. You should also point out to employees the costs drug use has on your company's bottom line, productivity, and increased healthcare costs. A drug-free workplace program shows employees that you care about their health and safety. By providing helpful resources, such as confidential hotline numbers or names of treatment centers to assist employees who have substance abuse problems, you illustrate your commitment to seeing your employees get help and improve their quality of life. Benefits from implementing a drug-free workplace program include lower absenteeism, increased productivity, reduced workers compensation filings, and fewer accidents. More discrete savings include improved employee morale, creativity and emotional stability. As a result of these savings and cost reducitons, the net profit of your business improves. If your business wants to contract with the government, you must have a drug-free policy in place. Under the Drug-Free Workplace Act of 1998, most companies seeking contracts with the government must maintain a drug-free workplace. Additionally, the Department of Transportation requires companies operating any commercial vehicle in interstate commerce to have a drug-free workplace policy. At Transmetron we are experts are setting up or reviewing your Drug Free Workplace Policy. 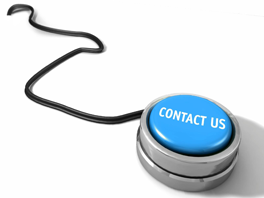 We would be happy to help you make one!